Date nights... We are definitely a family who loves them and we do them weekly. In fact, we have a family date night every other weekend where The Baron, Joel and I will enjoy dinner out along with a fun activity we can all enjoy together. Then on the other weekends when Joel is visiting with his dad, The Baron and I will have our own date, usually trying out new restaurants and various types of cuisines. On a recent date, we had the pleasure of visiting Del Frisco's Steakhouse. It's a fairly new restaurant in Chicago, which originated in Texas. 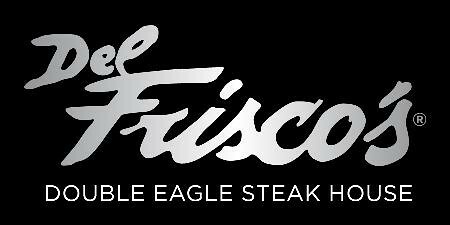 But before we get into details, if there was one word to describe our experience at Del Frisco's, it's.... luxurious. We had an amazing time from the visually breathtaking atmosphere, the impeccable service and the amazing food... oh the food! Designed by Aria Group Architects, a local Chicago architecture firm, the 24,000 sq. ft. restaurant fills the space of the iconic Esquire Theatre and seats over 500 people with two dining areas, two bars and a breathtaking terrace on the second floor overlooking Oak Street. The display kitchen, located on the third floor, oversees the dining areas and allows guests a glance at where it all happens. Custom art incorporates original design long with chic colors and textures to modernize the space. Focal points for the guests include a striking custom-designed chandelier which cascades from the second to the first floor, along with a two-story, 50 foot glass wine tower and restored Esquire Theater marquee. Del Frisco’s captures the vibe of the historic Gold Coast neighborhood with an inviting aura of both industrial and warm components, creating an ambiance that is stylish yet relaxed. Del Frisco’s embodies the rich tradition of American steak houses, serving chef-driven cuisine using bold flavors and the best ingredients available. 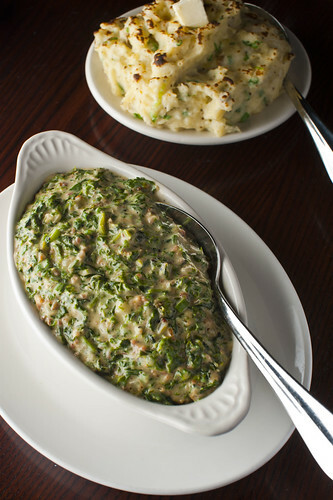 The lunch and dinner menus include a selection of delectable appetizers, mouthwatering hand-cut USDA Prime beef, chops, and seafood and flavorful shareable sides to decadent desserts. 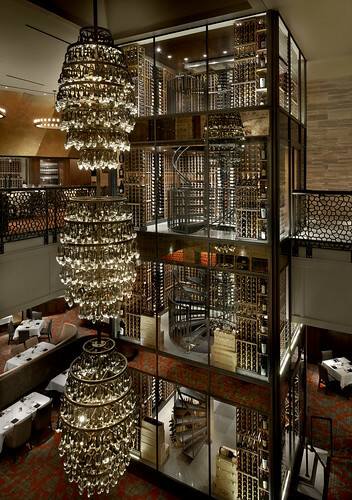 Just the sheer size of the elegant wine tower in the middle of the restaurant makes you thirsty and eager to try glass after glass of the impressive wine selection available. On the night of our visit, I didn't try their wines but I did enjoy a cocktail to kick off the evening. Their 'VIP' cocktail combines Svedka Clementine Vodka infused with fresh Hawaiian pineapple. It seriously was amazing and tasted like fresh pineapple juice with some zing! To start off our meal, we had a sampling of a few of their signature appetizers. 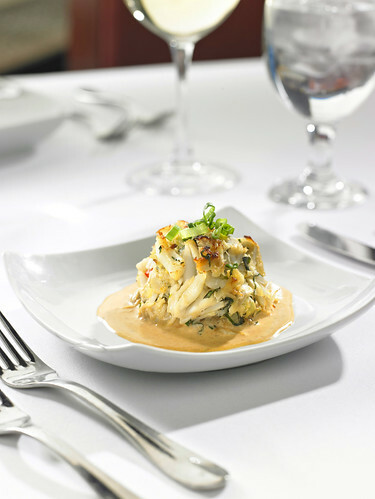 A popular appetizer is their crab cake which had a zesty Cajun lobster sauce. The fresh lump crab was sweet and tender, making it a nice contrast to the slightly spicy sauce. Another appetizer we tried was their Cheesesteak Eggrolls. Filled with beef and a blend of cheeses, these eggrolls were a great dish and we enjoyed the sweet chili and mustard sauce it was served with. The next time we come for a visit, we will definitely be ordering their Stone Crab Claws. It's Stone Crab Claw season between October 17 through May 15th so take advantage! The sweet, firm crab claw meat is not widely available, only appearing on the menus of select restaurants outside of their native Florida. Stone crab claws are flown fresh from the Florida Keys, one of the only regions where they are available. Once harvested, the claws are cooked fresh on the boat, then promptly chilled – never frozen – and then flown fresh to the restaurants. Del Frisco's offer these Stone Crab Claws as a shareable appetizer, as a main entree or even add them as an accompaniment to the wide variety of steak and seafood items on their menu. Claws are cracked fresh to order and are served with a traditional Dijon sauce and fresh hot towels. For our salad course, we had a Blue Cheese Lettuce Wedge salad and a Beefsteak Tomatoes & Sliced Onion salad... both of which were fresh and perfect to prepare us for our steak entrees. Then the steaks arrived. The Baron had a bone in Prime Strip Steak while I had a bone in Prime Ribeye. Wow. These were both amazing with the peppered crust seared right into them. The chef also provided a variety of optional sauces offered for those who want a special touch to their steaks. The sauces included a Bernaise, Horseradish Cream, House Steak Sauce, and Bacon Fig Jam. To accompany our steaks, we were surprised at the table with an entourage of waitstaff along with the head chef. We were presented with a buffet of side dishes that included their popular Lobster Mac & Cheese, Roasted Shaved Brussels Sprouts with Bacon, Spinach Supreme, Maque Choux Corn, and Lobster Mashed Potatoes. All of them were so delicious but our top 2 favorites were the Lobster Mac & Cheese and Maque Choux Corn. After this amazing meal, we made sure to save room for dessert - I'm so glad that the Baron has a sweet tooth lol! We left it up to our lovely server, Pam, to surprise us and we were presented with their Lemon Doberge Cake, which consist of six layers of light and airy buttery cream cake that's separated by a tart lemon glaze filling between each layer. To put it over the top, the cake is then coated in a lemon buttercream frosting. Heavenly!... but that's not all. We also were served a bananas foster bread pudding with a ridiculously addicting butterscotch caramel sauce. Both were fantastic and we enjoyed them completely. A special thank you to General Manager, Troy Smith and also Executive Chef, Jim Teutemacher, along with our server, Pam, for the impeccable service and memorable experience we had during our visit. I cannot wait to visit again and if you are in the area doing your holiday shopping on the Magnificent Mile here in Chicago or if you are 1 in the 9 other cities around the country where Del Frisco's is located, I highly recommend a visit! 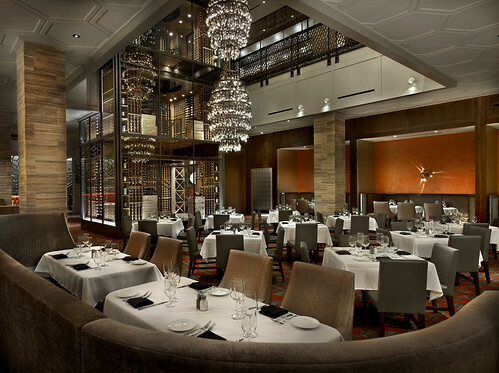 Based in Dallas, Del Frisco's Restaurant Group is a collection of 32 restaurants located across the country, including Del Frisco's Double Eagle Steak House, Del Frisco's Grille and Sullivan's Steakhouse. Del Frisco's Double Eagle Steak House serves up flawless chef-driven cuisine that's bold and delicious, an extensive award-winning wine list and a level of service that reminds guests that they're the boss. 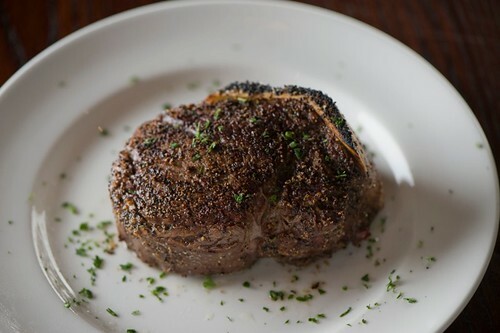 Sullivan's Steakhouse provides an environment for a complete night out on the town – with outstanding food, hand-shaken martinis, a hand selected award winning wine list, and live entertainment all under one roof.